Tamborinyoka, in an opinion piece in today’s NewsDay, said it was disappointing that Tsvangirai agonised in his last days after he was barred from meeting his preferred successor. 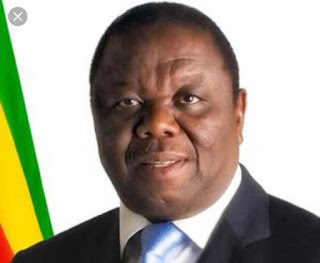 “I will be relaying to you Morgan Tsvangirai, in his own voice, divulging the succession permutations and his succession preferences,” he said. “That revelation will put paid to any doubts about the satisfaction of Morgan Tsvangirai’s spirit at what is about to unravel. “Big announcement, I’m not going to continue associating myself with an organisation that advocates for violence and thuggery,” he said. “I’m a principled politician and professional.